Today we had a fun time playing with our letters! 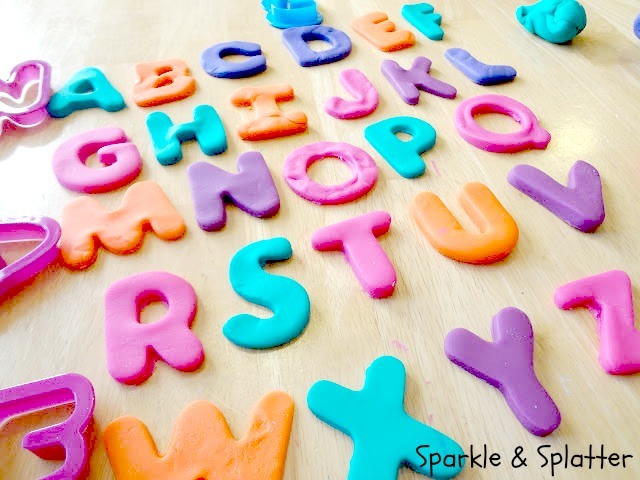 We rolled out slabs of play dough and cut them with cookie cutters to practice our alphabet and make some new words too. This activity was especially engaging for the littles because it was actually several activities in one. First we pretended we were detectives and searched for each letter from the giant pile of cutters. Then we cut them out. Then we carefully arranged them in order. 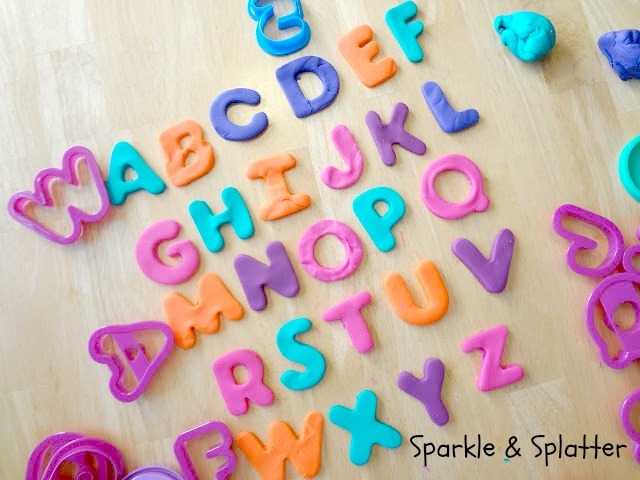 Then finally, we made some simple words to show off our alphabet expertise. Fun was had by all! 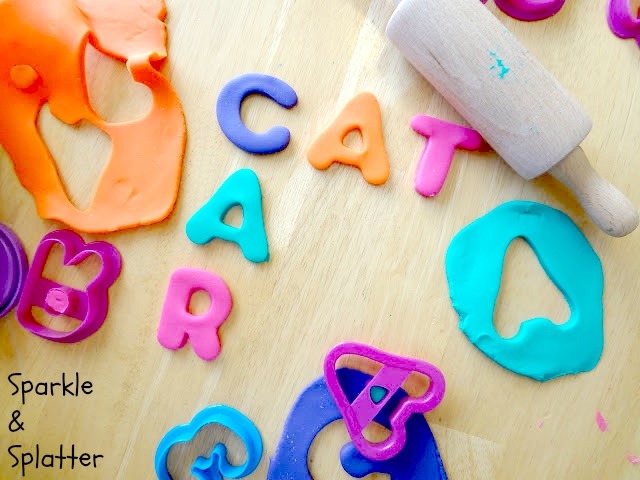 Note: If you don't have letter cookie cutters, just roll out a slab, then cut letters with a plastic knife, chopstick or even scissors would work. Hi. Found you through ABC and 123. I am your newest follower. I also have a weekly link-up that runs Tues - fri. I would love for you to add some of your projects! Thanks Julie! Will do, thanks too for stopping by! Awesome, thanks I'll definitely stop by!